Sacred Cedar and Sacred Mountain Chitral Gol National Park. With Snow covered Tirich Mir in the background. Fuji Velvia 50 @ f11. This photo, I’ve been told is similar in composition to Ansel Adams “Jeffrey Pine”. A photo I had never seen before I shot this and had it developed. Traipsing up the slopes is heavy work, the altitude means metabolism speeds up considerably and the weight just falls off, Traipsing up the slopes with a bag full of Camera gear is a wee bit harder and a royal pain the the backside too! The pounds were being shed so quick the difference was noticeable in the mirror on a daily basis. We managed to scramble up the final few dozen feet and turned back to look upon the view – and a photograph cannot do it a justice. The Rumbour Valley was spread out below us, in front of us was Grom Village with Balanguru on the other side of the river, the river having been almost ruined by last years damaging and tragic floods which had brought down millions of tonnes of rubble, boulders and rock to clog up the once beautiful turquoise flow. The wood and stone dwellings terraced up the slops like brickwork. Looking beyond them we could see the peaks of a lofty white mountain, covered in snow. The whole place was like a scene out of Tolkien’s Middle Earth, I could imagine the Misty Mountains looking like this! “That white mountain is in Afghanistan”, said Imran, my Guide, Friend and fellow photographer. Imran enjoys snapping away, lifting his Canon DSLR focusing and firing away as if he were sniping the valley with a rifle of sorts. As for myself, I came equipped with not one, not two but THREE Cameras! “Eh? What do you mean?” says he, He obviously didn’t get it, swoosh straight over his head! We had been climbing for a couple of hours, taking it fairly easy, and I was able to stop whenever I liked to rest and to photograph, but I think THREE cameras was a mistake. As when faced with a scene, or an attractive subject, whatever it may be, I was constantly badgering around in my Bag, first trying one Camera then another, and finally deciding to shoot with all three. At times like this it’s better to travel light, with ONE camera – but oh heck, I’m glad I took three, I managed to shoot with all of them! I pulled out the GA645 and took a few exposures, the beep and whirr of the drive breaking the silence. I held it lovingly in my hands and placed it against my eye as I surveyed the scene through the glorious Viewfinder. T’was a good day excursion. I used the GA645’s fixed Fujinon 60mm Super EBC f4 lens (equiv to 35mm in 35mm Format). It is a lovely camera, lightweight, compact, easy to use – like a big cute and cuddly point-n-shoot! It’s rectangular, narrow pug faced, not particularly bulky, it’s extremely comfortable to hold, and with the attached grip is brilliant to shoot horizontal or vertical. The VF by default is in portrait format as the camera shoots 120 Film in 645 format. It’s a 4:3 ratio so is very very good, and to be honest a portrait format seems so much more comfortable and normal once you get used to it. The Hindu Raj. Viewed from The Chitral Gol. Velvia 50. The camera itself is made of quality plastic, it has a nice feel to it and it’s not as dense as it looks, so is a comfortable lightweight very high quality Travel Camera. 645 format is quite a bit bigger than 35mm, so if you’ve never tried it, I suggest you do, you’ll be extremely pleased with the results if tonality and resolution is what you’re after. Roll film is very easy to load, almost as easy as loading a 35mm Automatic camera!! Seriously! 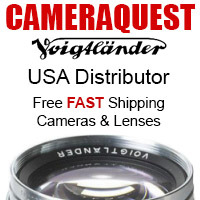 The Viewfinder is simply The Best VF I have ever had the pleasure of looking through – BIG bright, wonderful, and it’s Polarized! Just looking through it is an experience and I would urge my DSLR brothers and sisters to try one out if they haven’t – it makes the VF of a Nikon D3 look tunnel like in comparison! I sh*t you not! I leave it on A, flick the toggle to change Aperture, which shows up in the VF, half press for Auto Focus, lock focus and shoot! It really is simple to use, and gives excellent results. The lens isn’t the fastest, so with slow film and lower light you’re asking for trouble, but in decent light it really shines! f4 will give you as much shallow depth as around f2.8 on a 35mm format type camera!! I just wish the camera were able to focus closer – it’d be even better if it were able to! But minimum focus distance is about 2.3 ft or 70 cm away in theory, but in practise it’s a fair bit farther – so not very helpful! The Hindu Raj at Sunset. Viewed from The Chitral Gol. Velvia 50. AF is relatively quick and accurate – most of my shots have been nailed, I ruined a few because of camera shake in lower light but never any focus problems. The only downside is the buzzing sound the lens makes as it focuses, and the motor wind noise. Let’s just say it’s not quite Stealthy!! Bottom line is, it’s like a large Konica Hexar in use, as it’s very similar – an Automatic, electronic AF fixed lens RF. Anyway, I should’ve taken more photographs during my trip in the Hindu Kush, I had the time and opportunity, but spent the lions share of that time soaking things in with my eyes and ears and senses, chatting to people and experiencing stuff rather than having a camera glued to my face. However, I did manage some shots of people, scenic shots, and the like with all three cameras; The Contax G2 (which you’ve met before) The Olympus XZ-1 and The Fuji GA645. In hindsight, I should’ve had a tripod, some graduated filters, a multi stop ND filter, and actually used the Polarizer I had with me (as you can see I was really prepared!) I could’ve woken up at the crack of dawn and trekked or driven to wherever I wanted, to set up and photograph the dawn light on the mountains, rivers and lakes, BUT there’s always next time, all the more reason to return – and any budding adventurous photographers are advised to bring a lightweight Tripod/Monopod plus as many Filters as they can afford to carry! And in retrospect, I should’ve used the GA645 a bit more creatively, and used it more in the Bazaar, and to photograph people – plus what I mentioned above about waking up at the crack of dawn etc, but I only shot 3 rolls of film with it, there’s only about 14 shots on a roll, so altogether about 40 odd exposures in 2 weeks, which is NOTHING compared to what people shoot nowadays. Grom Village, Rumbour Valley. The white mountain is in Afghanistan. Velvia 50. The Hindu Kush is at the western most part of the Himalayan and Karakoram chain of Mountains, a chain that divides South Asia from Central Asia and The Near/Middle East. The many passes have been routes into India for Millennia, and the Mountains have an aura of antiquity and mysticism about them. 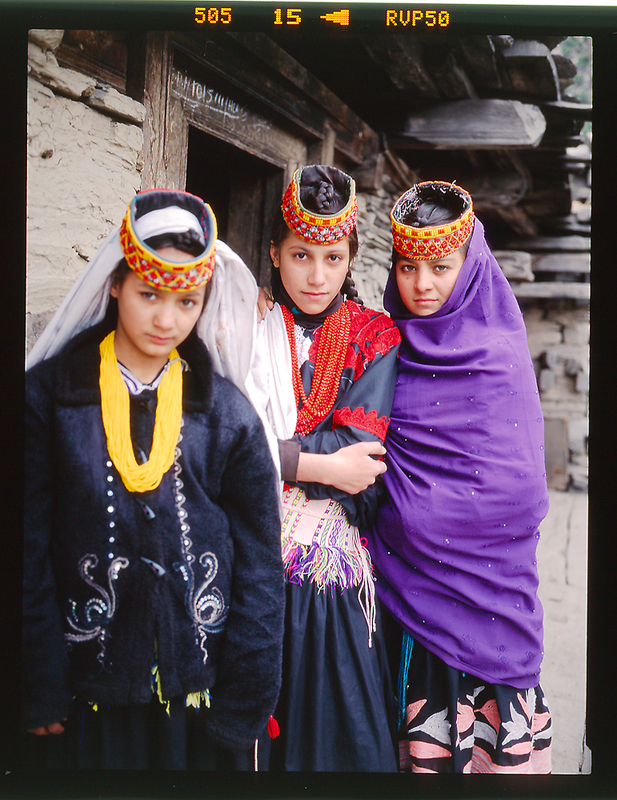 For example, the Kalash and Kati people are the descendants of the first ever Aryan tribes who migrated here Millennia ago, The Kati were converted to Islam en masse (by force) back in 1896, but the Durand Line which divides Pakistan (formerly North West Frontier of India) from Afghanistan ensured the Kalash retained their indigenous and ancient belief and customs. My friend, Imran, who is a local Mountain Guide has had many experiences along the high passes and trekking routes, and I must say I had a few too, one being quite, well, how can I put it? Has made me more open-minded, so to speak, but I wont scare you with any stories! Haha! It’s all fascinating, and believable, as staying up there, in the loneliness and wilderness, it all seems to make sense somehow. And seems a part of ‘nature’. People are extremely respectful of their environment; trees and forests are respected, and certain groves and trees are sacred or used in ritual – both Kalash AND Islamic! 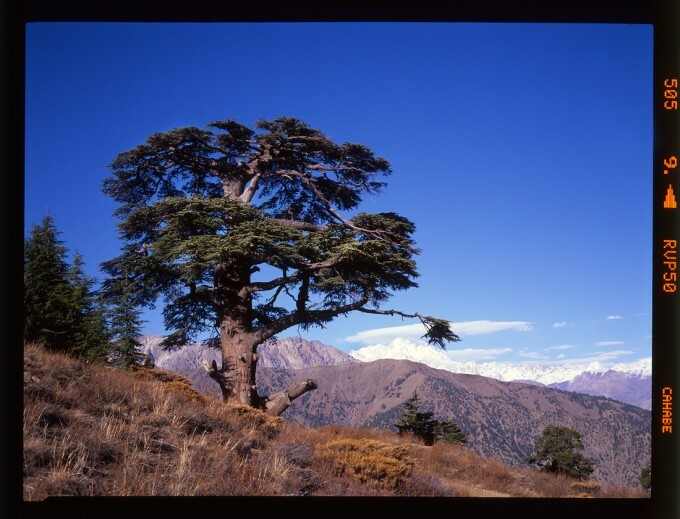 You can find the Kalash Sanctuaries above certain villages in the three Valleys, and their most sacred shrine ‘Sajigor’ is to be found in a Cedar and Juniper Grove in a forest close by. The Hindu Kush has many regions to it, you have the Afghan side which is lower, and the High Hindu Kush in Upper Chitral – where the highest mightiest peaks are – such as Tirich Mir and Bani Zom are to be found, plus The Hindu Raj range, where many of the best long trekking routes are to be found, and which is very secluded and full of absolutely beautiful magical places. We spent a few days camping above Chitral Town, in the Chitral Gol National Park; the motto of the park is “Shoot only photo’s and Leave only footprints”. 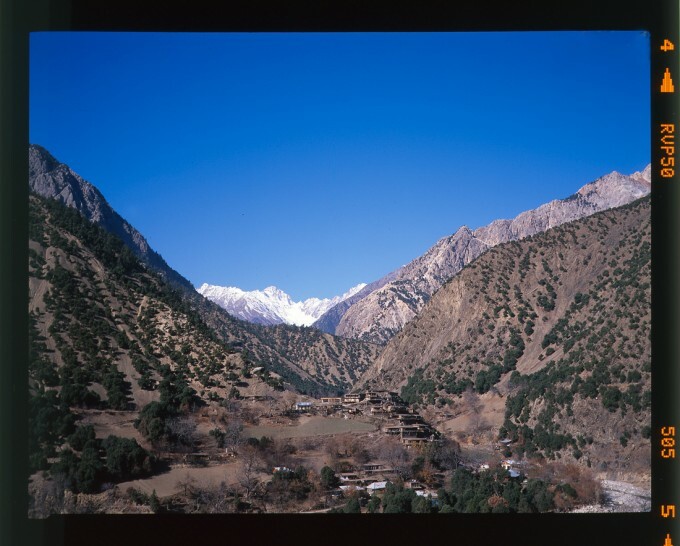 The Award Winning “Planet Earth” with David Attenborough in the episode ‘Mountains’ was filmed here – as here are to be found Markhor and Snow Leopard, Golden Eagles and other rare wildlife. We spent a day trekking up and up towards Birmorgh Lasht – which is the old summer Palace of the Prince of Chitral, it’s mostly in ruins now. Farther up we have Chaghbini; here is to be found a Mountain Rangers rest house, plus viewing platforms where you can observe Markhor and other animals. A Long telephoto lens is a huge bonus here as you’ll be able to capture so much, all you DSLR users with HUGE sports lenses – this is for you! I took a few snaps here, of the views from Birmorgh Lasht and Chaghbini. 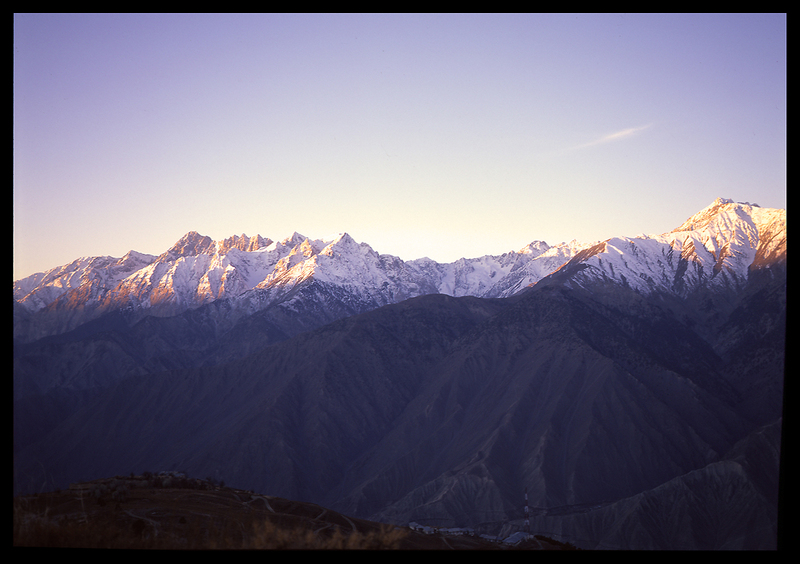 The Hindu Raj range graces the eye with so much beauty, and as the sun sets, the mountains come alight! Farther we have Kasavir – An ancient Kalash sanctuary to The God of Hunts. Many trekking routes are to be found in these mountains, and all offer everything for the adventurer and photographer. About an hours drive from Chitral we have Ayun Village, offering majestic views of Tirich Mir (which looks down upon you wherever you are in Chitral region of these mountains), and Ayun is the gateway to the three secluded “Kalash Valleys’ of Birir, Rumbour and Bumboret. And of course we have Upper Chitral, Tirich Mir base camp, Owir valley and Mastuj which leads towards the Shandur pass (where annual Polo festivals are held) and then onto Gilgit, but that’s for another time and another trip! Chitral town itself is small, and has some sites for the visitor, people are also very welcoming and friendly with Westerners. 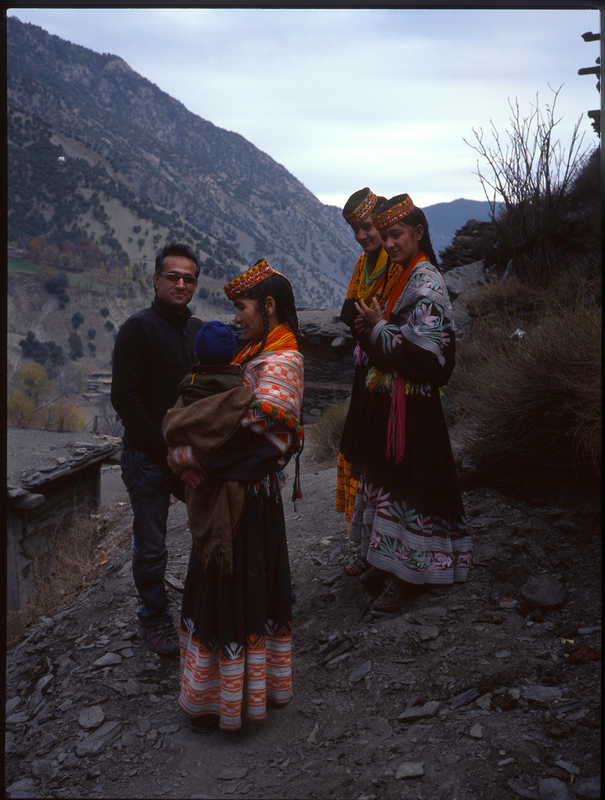 And in Chitral Town, Tirich Mir gazes down, like a God…. My GA645, I was very happy using it, I shot Fuji Velvia 50 and no filters, though a UV Filter or polarizer would’ve been welcome additions. The battery just lasts and keeps on going, I’ve had the same battery in there for two years! 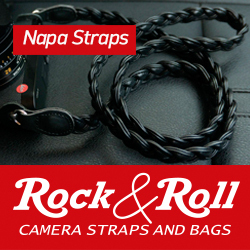 And again, with the GA645 around your neck, or grasped in your hands – you’ll get looks, but people wont think “Photographer” or anything, so no need to worried. Locals were more curious to know exactly what this contraption in my hands was! What, no LCD screen? Cannot possibly be a camera!! Haha! The GA645 is a pleasure to use, some may find it noisy, others the not so close focus a problem, others may find the AF too slow, and as for myself I didn’t use it as much as the other cameras as I find the focal length too wide for portraits but too long for scenic’s – though I’m being a bit pedantic. It is a fantastic camera, one which has the quality to match a Mamiya 6, (see Dante Stella’s review) and it has the same focal length as a Fuji X100 with far more quality! The best thing about it, I bought mine in Mint condition with bracket/grip and flash and bracket for £345 ($540) two years back, and you can get these for even less!! I’ve seen them go for around £245 ($388) BARGAIN camera! Two Girls two frames demonstrating the shallow depth. Getting to the Hindu Kush is a doodle. From the UK it’s easy enough; £500 to £700 will get you a Direct Return flight from Heathrow Airport. (approx £1 = $1.6) And for around £110 will enable you to fly the 45-minute journey through the mountains from Islamabad/Rawalpindi Airport to the tiny Chitral Airport. Flights are weather dependent so if there is a lot of cloud cover at the Lowari pass, the flight could be cancelled. Flights leave daily from Islamabad and Peshawar to Chitral. The only other route is over land and takes about 12 Hours from Islamabad – but I’d avoid this as apart from the time, you’ll also be obliged to travel through Swat and Dir – beautiful countryside, but scenes of recent fighting and tension and the UK Foreign and Commonwealth office advises travelers to AVOID this area – for this reason Travel insurance will not cover you. I recommend reading The Lonely Planet Trekking in the Karakoram & Hindukush (Lonely Planet walking guide, 2nd edition) . A great book, essential, though beginning to date. If you’re on a budget, you’re best bet is to get in touch with a local Guide or Trekking outfit. If you’re planning to go to the Karakoram or Baltoro sides, your best bet is to check out; http://kkhtravels.com.pk/ they’re really good, and based in Gilgit. Gilgit, Nanga Parbat, Hunza and Nagar are very tourist friendly, and you’ll meet many westerners there. The Chitral side is pretty quiet, tourism is at an all time low, and you’ll have most of the place to yourself!! Don’t forget Steve’s review of the newer Fuji GF670! What is it about new cameras that make us crazy? It’s called G.A.S. Sunday Night POLL! Which new camera did you pre-order or will you buy, if any? really wondering to get there Ibi Sahib. thanks for sharing of nice stories though! Yeah ! A “back to the roots” article ! Great photos Ibraar. It’s good to see a photographer on Steve’s site. Nowadays, except wondering which camera to choose between the Nex7 or the OMD and comparing charts, few people actually SHOOT. 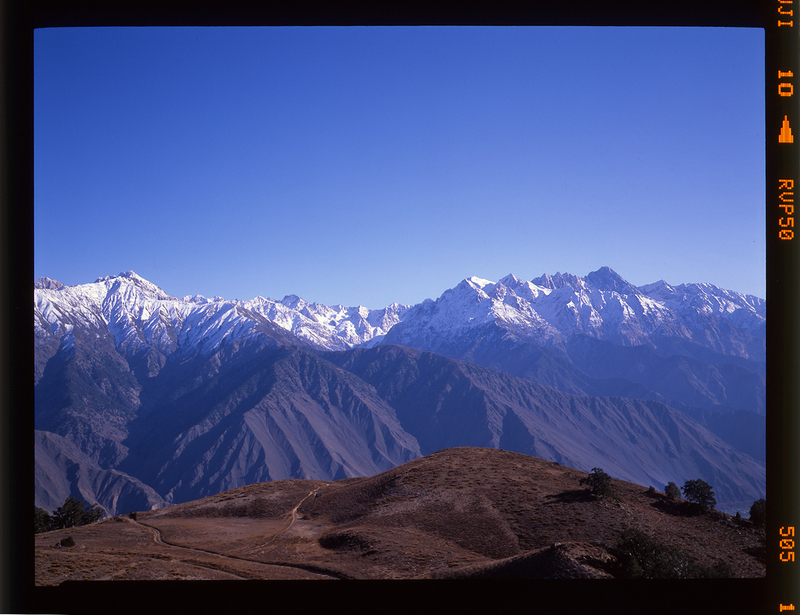 Not the Hindukush alas……but look at my GSW690 perform……(via V750 by the way so there is room for improvement) these Fuji’s are called Texas Leica’s and not only because they are a little hefty. Not so different, okay, it has twice the negative area but in picture taking and concept they are not that different (I take it with me on my bike in a backpack) and it’s pictures are almost as good as a 4 x 5….and thanx for the compliment…. Thank for an entertaining story and the pictures. I confess I never use my GW690 anymore but you make it tempting! Its a great camera and beautifully used by Ibraar. I love my GA645, nice to see it getting some press.It really is a wonderful bit of gear that every time I get a film back i’m blown away! The GA645 is a mad, and maddening beast. When it works it’s quality knocks it out of the park. That 60mm f4 lens can run with the best of them…but when it misses focus…ARGH! I use mine for Terry Richarson (sans sexuality) style point and shooting. Fun shots of the friends, girlfriends etc… But when I job comes along, I need a medium format SLR. I’ve been really wanting to pick up a GF670 actually. I think it’s probably the best medium format rangefinder Fuji has ever made. No more focus problems, and larger negatives, who could ask for more? If you were ‘Stateside I’d recommend RPL or Richards Photo Lab. They will develop your film and blow your mind with their scan quality. Worth every penny for professional work. WOW, now I know what I missed in digital photography. The natural colours of life and the vivid colours of my lovely Velvia dia film. Film, Film, Film, please come back… over me. I felt like a lefty that has to do all with his right hand ;-). Ibraar… Just curious, the scans you did, are they prints from sending out? Or did you receive prints and scan them yourself? Either way, they look cool and I get tempted once in a while to experiment with film some times. I just don’t know where to send the stuff to have processing done and scans. Thanks! Hi Rick, the scans are of the Transparencies (slides/chromes), not prints. I scanned the slides using an old Epson 4990. Where I live (in London) there are a fair few pro Labs, and one is 20 min walk from my home, but I’m getting lazy, so just post the exposed film to Fujifilm UK who develop the film and send me the developed Slides in 5 days turnaround. very good service and very good value from Fuji, as return postage is Free and they charge less than my local Lab! I’m sure Fujifilm wherever you are will do the same thing and offer the same service. They also give options to develop, print, DVD or CD of scans according to your preference etc. Hey, thanks a bunch! That does help. Have a great day/night, etc.! Very nice shots Ibraar, makes me wonder why I ever let that unique camera go (as a matter of fact, my collection of GA 645, GA645w, and GA645Zi). You´re so right about the incredible ease of use. And yes, the viewfinder in the 645 and 645w is head and shoulders above ANYTHING else I`ve ever tried (including my M8), amazing brightness! These cameras sell at ridiculously low prices on the web. +1 I still have my GA645 and am just finishing another roll of color film. It’s an awesome camera! Amazing work! 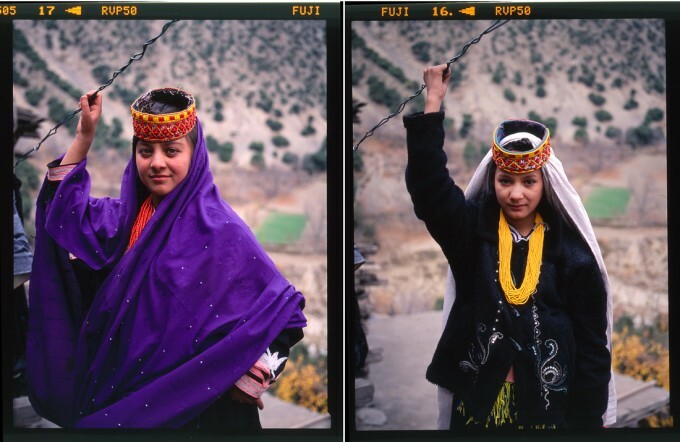 Beautiful Film work and great pieces on the Kalash. Wonderful photos and travel account!!! Thank you very much! These film shooters are reminding me of what tonality was before my digital brainwashing. Slide film does not have much latitude. You need to nail it and you almost always give up something (IE highlights if you want shadow detail). I’m a film fan and I’m seeing in these shots the type of photograph that I now think digital does better. That isn’t a comment on the photographs themselves, just the colour and tonal range of slide film. I think standard negative film usually has more latitude and slide film less so. Regarding IQ, these slides are scanned on a flatbed scanner. A drum scanner or a Nikon scanner would have achieved much better results that would easily surpass the output from a M9 or any other digital FF camera in my opinion. Hi paddy. I disagree, my mate had a canon dslr and it simply couldn’t handle the light in these places, and the color and look if his shots couldn’t compare. Steve chose these shots, out of a selection containing ones I preferredto these. A better photographer and colour coordinator/scanner would be a different class. Great photos and writing, would love to see more. Great pics Ibraar. Great colors. I would have liked the group photo to have a little bit more exposure/brightness. Cheers man, I think the Sky has underexposed the figures, I should’ve compensated but it was a quick snap and not really composed as such. Good pictures and nice story. This kind of interesting camera was one of the reasons Fuji was always a more dynamic company than Kodak. My monitor is calibrated and I find a strong magenta cast in those pictures. Odd, because pictures generally go blue at altitude. Quite right, my fault. The Epson 4990 tends to shift colour towards magenta, and the photo of the two girls has the cast. Oops. I should’ve corrected it! Awesome photos. Excellent story. I love the 645 format. Still using my Bronica ETRSi. 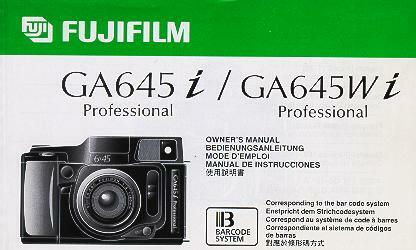 I’ll have to now check out the fuji GA 645 for sure. Velvia, now that nice. Wow. The best story and travel description/info I have read on this site. Beautiful images.